Station Langen am Arlberg, 15-02-2011. 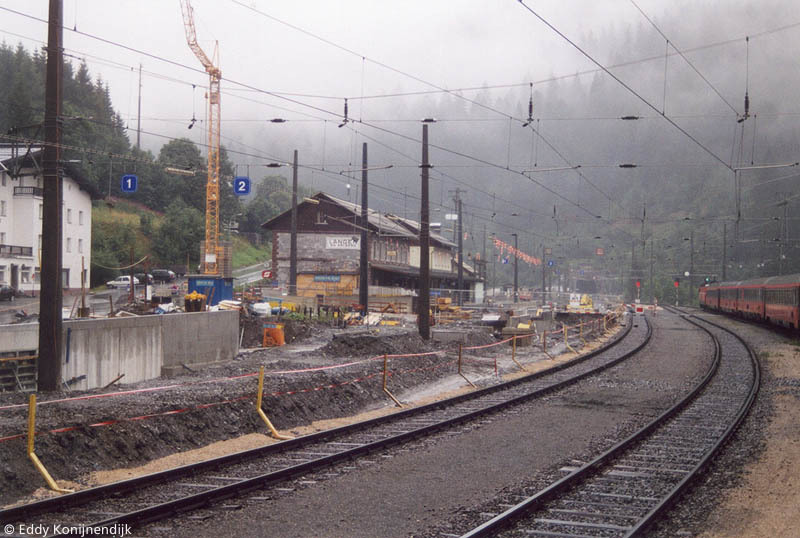 ÖBB railway station Langen am Arlberg, 12-08-1998. 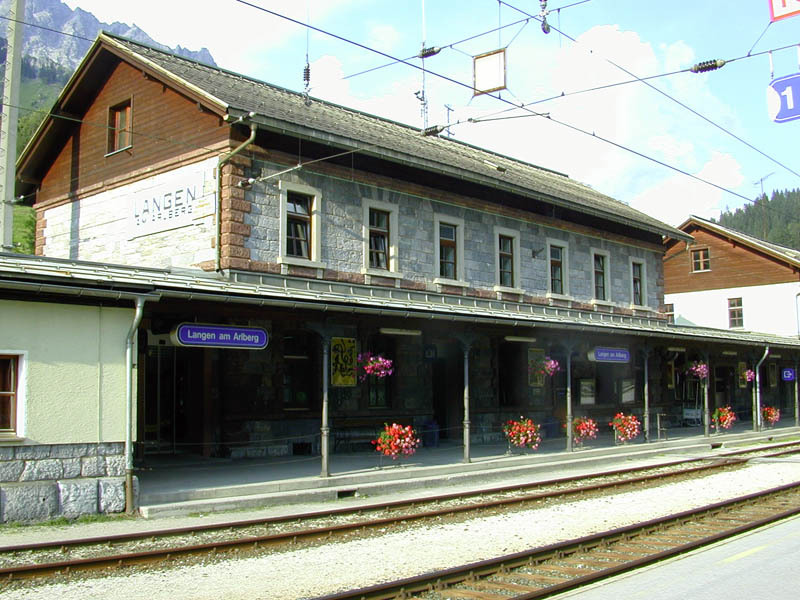 The station of Langen am Arlberg (ÖBB), 07-08-2002. 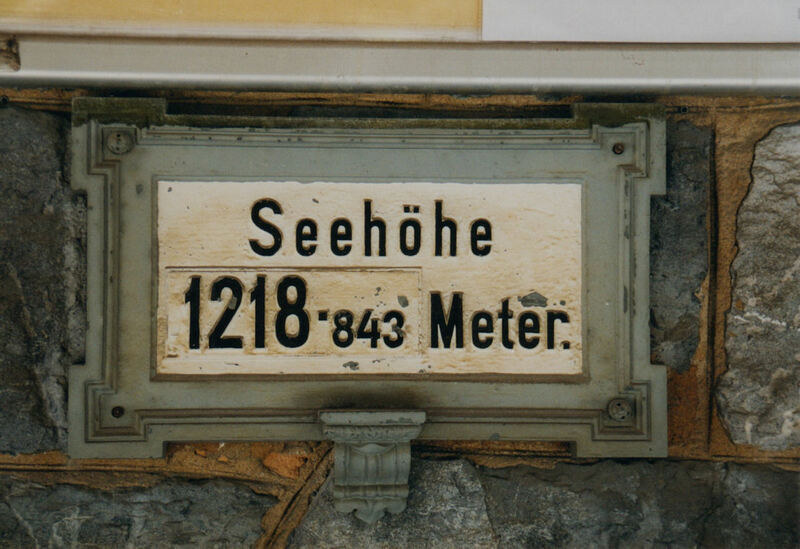 Height marker '1218,843' attached at Langen am Arlberg station building. 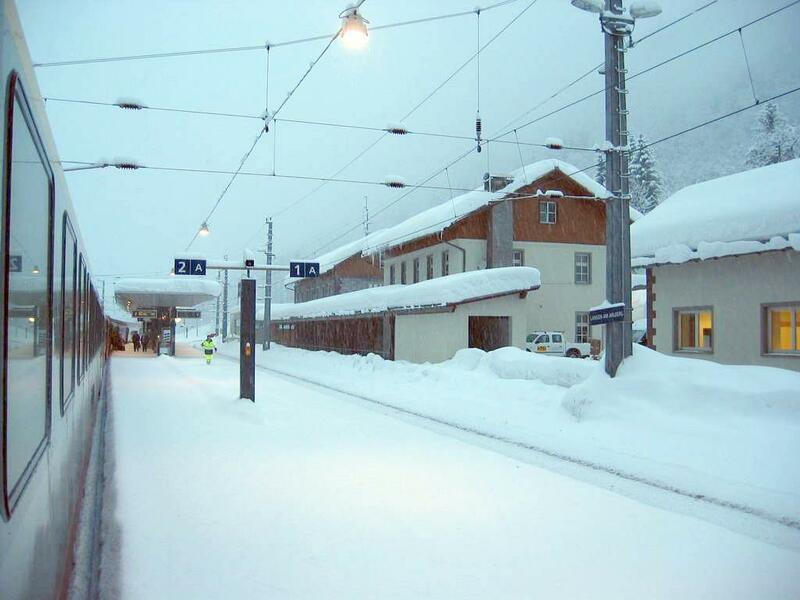 After St. Anton, Langen is the second highest station of the Arlberg railway. Photo taken Saturday 21 June 2003. 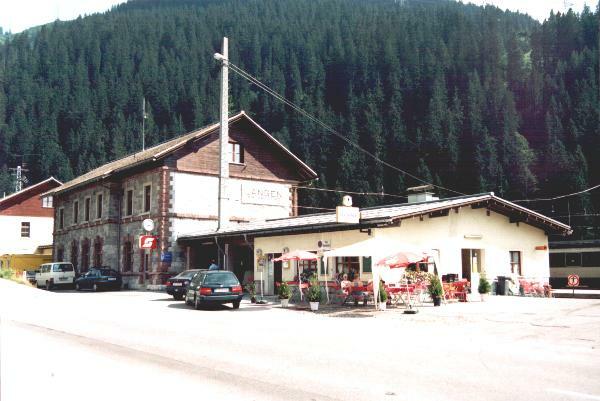 Langen am Arlberg railway station located on the western side of Arlbergtunnel. 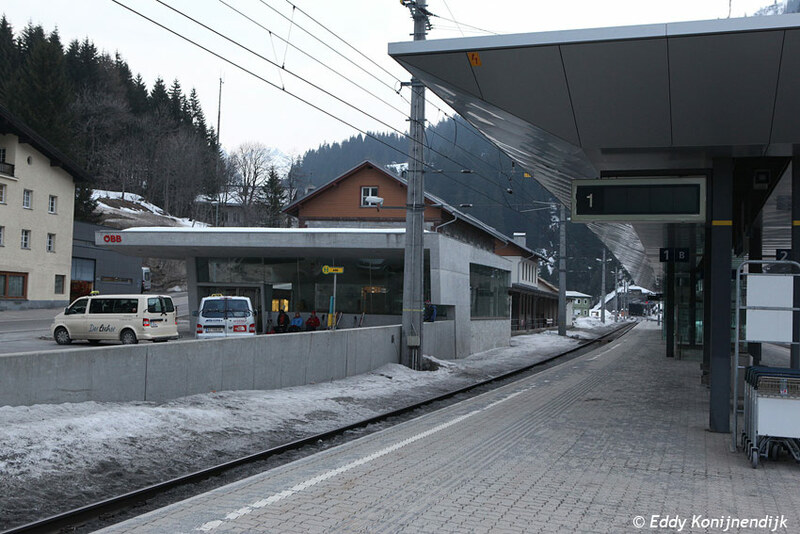 Looking west with the newly built Blisadona tunnel (2,411 m). The right single-track tunnel tube joins a few meters with the double-track main tube. 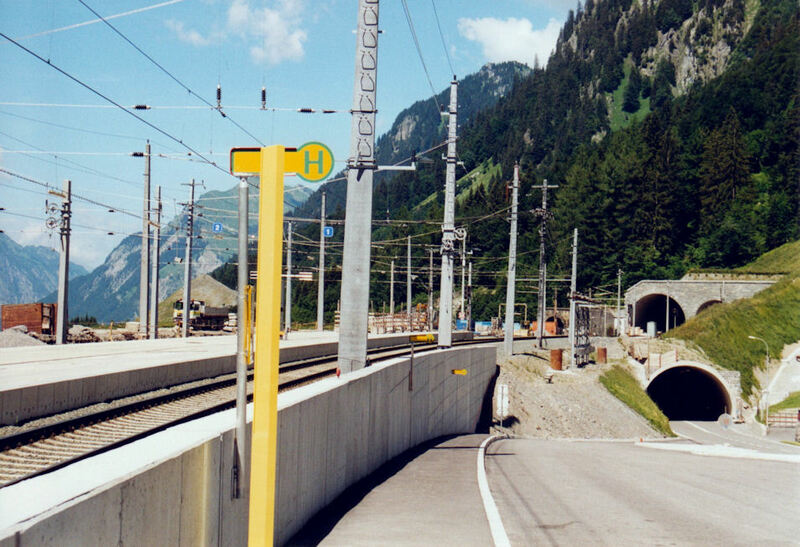 The small brown-stoned tunnel left is the Simastobel tunnel (140 m) of the old line. Prior to a short road tunnel leads under the tracks. Bus stops in the foreground. Photo taken Saturday 21 June 2003.